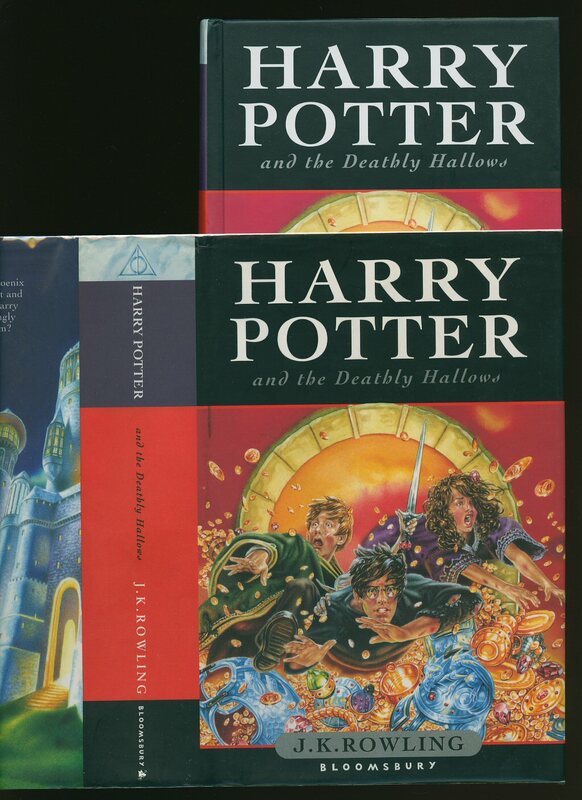 Bloomsbury Publishing, 38 Soho Square, London First Edition 2000. 2000. First soft back edition in publisher's laminated card covers. 8vo 8" x 5¼" 636 pp ISBN 0747550999. Number string to copyright page 1-20. Without any ownership markings and in Fine condition, never thumbed. Member of the P.B.F.A. 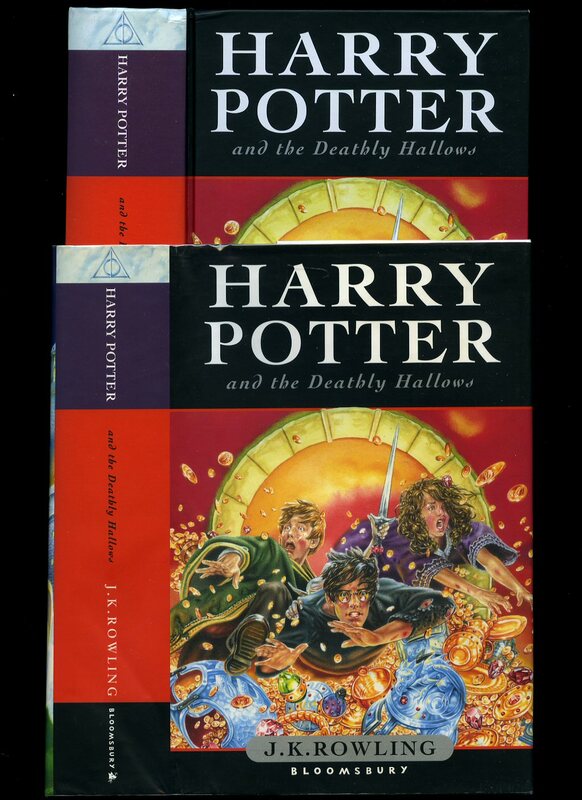 Published by Warner Brothers 2001 and 2003. 2001. Laminated single sided colour illustration. 6'' x 1¼''. Both in Fine condition, as new. 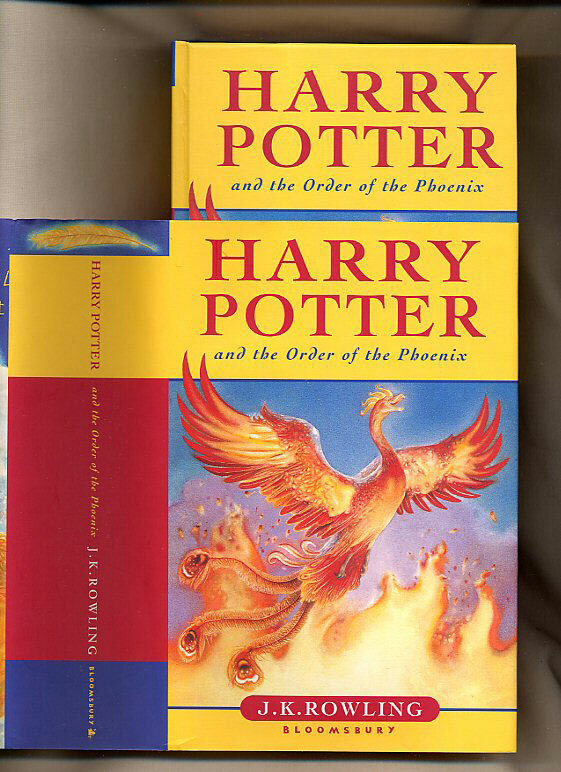 The Order of the Phoenix is a 'Glow-in-the-dark'. Member of the P.B.F.A. 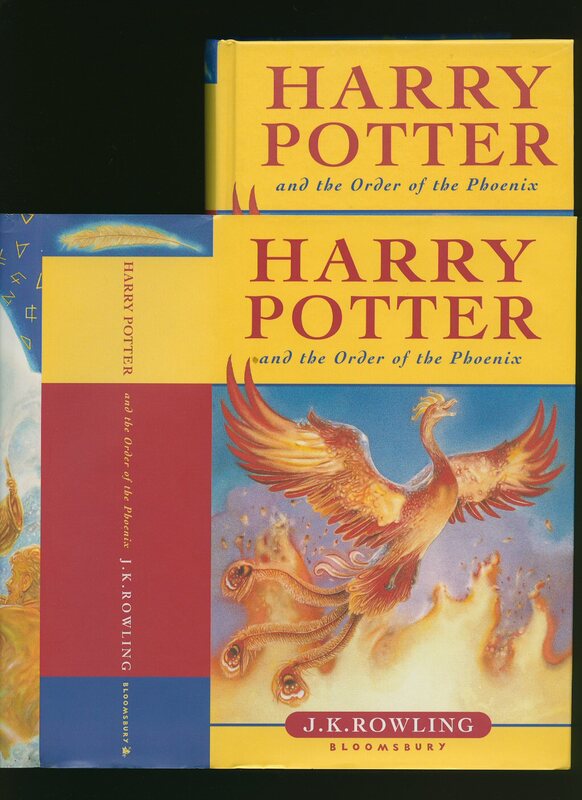 Published by Bloomsbury Publishing Limited, 38 Soho Square, London First Edition 2007. London 2007. 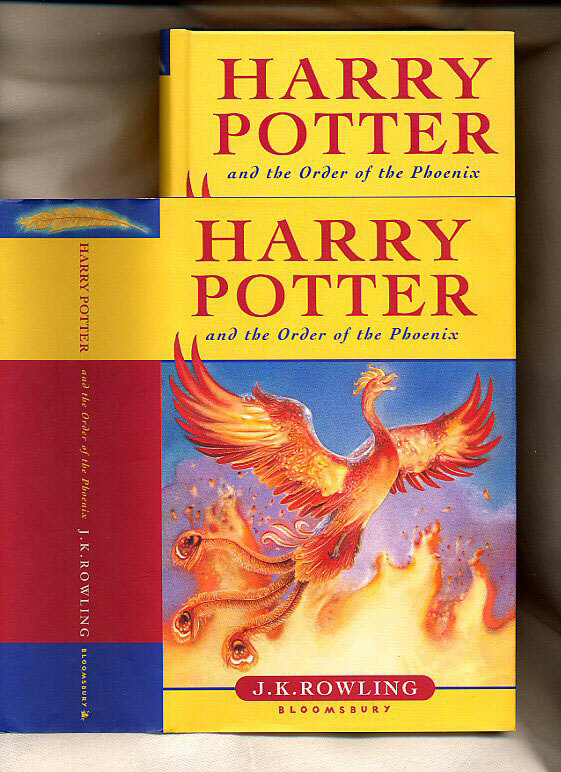 Published by Bloomsbury Publishing Limited, 38 Soho Square, London First Edition 2003. London 2003. 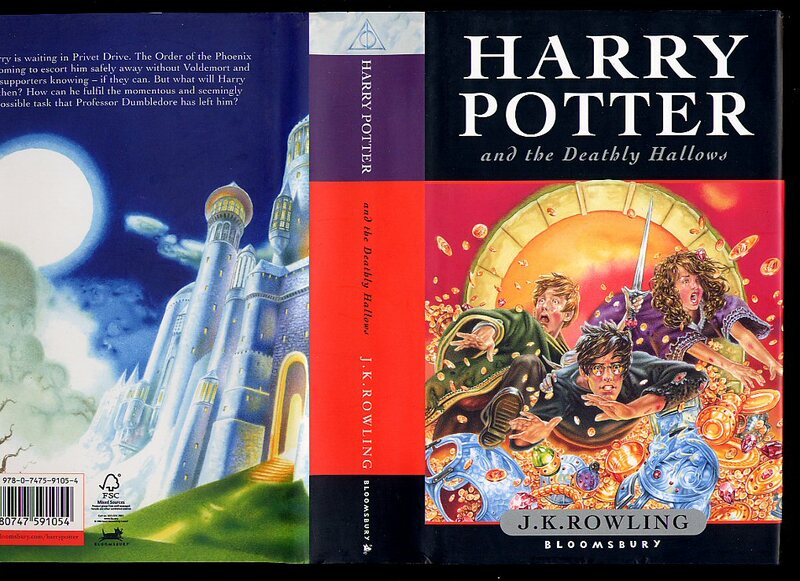 Published by Bloomsbury Publishing Limited, 38 Soho Square, London First Edition 1999. London 1999. 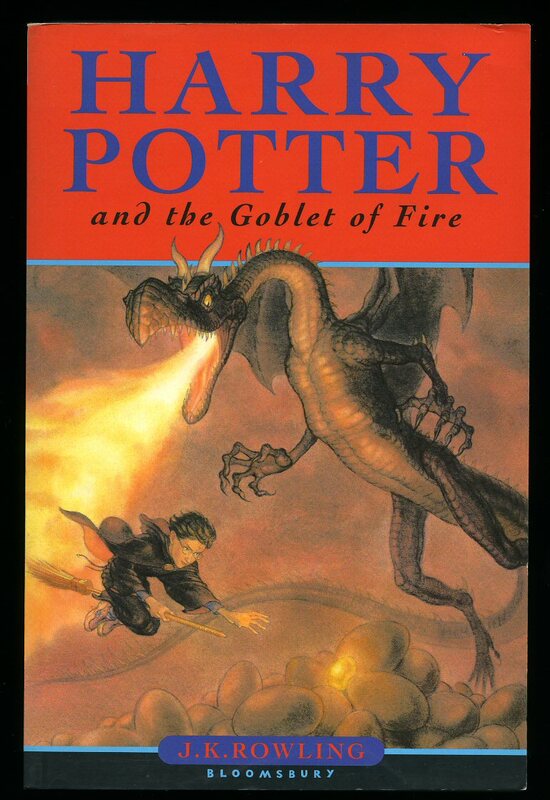 Published by Bloomsbury Publishing Ltd., 38 Soho Square, London First Edition 1999. London 1999. 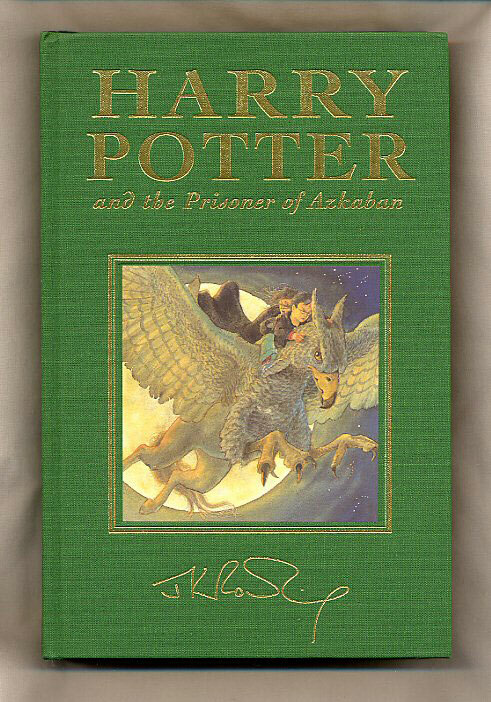 First edition hard back binding in publisher's original apple green cloth covers, gilt lettering to the spine and the upper panel, all page edges gilt, emerald green end papers, colour onlay to the centre of the front cover containing the original trade edition dust wrapper illustration, sewn-in gold ribbon marker. 8vo. 9½'' x 6¼''. ISBN 0747545111, number string to the copyright page 10 9 8 7 6 5 4 3 2 1. Contains 317 printed pages of text. 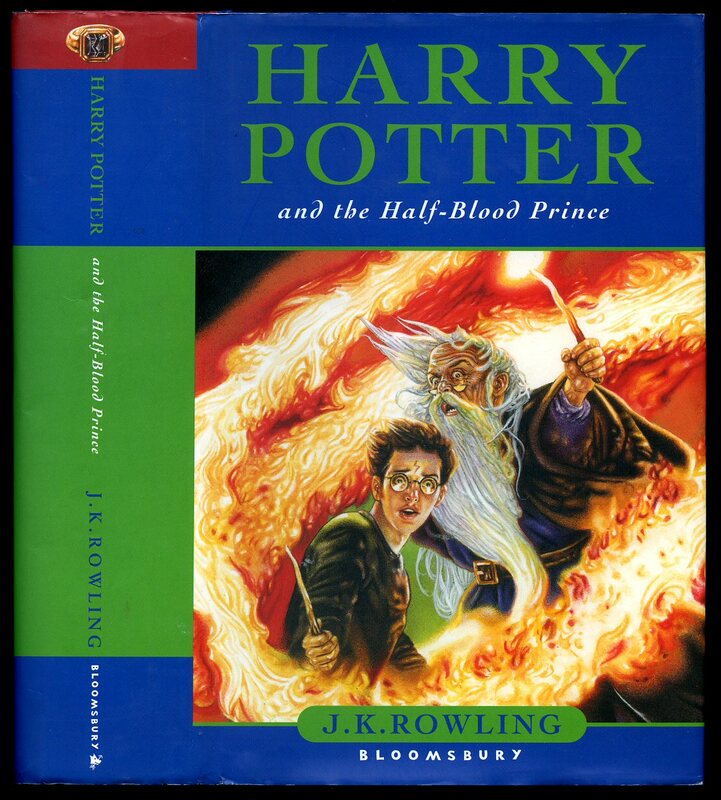 Limited to just under 1000 copies, 'Joanne Rowling' to the copyright page. Without any ownership markings. Shrink wrap removed to substantiate first edition first printing status. In Fine unused condition, as new, no dust wrapper as published. Member of the P.B.F.A. 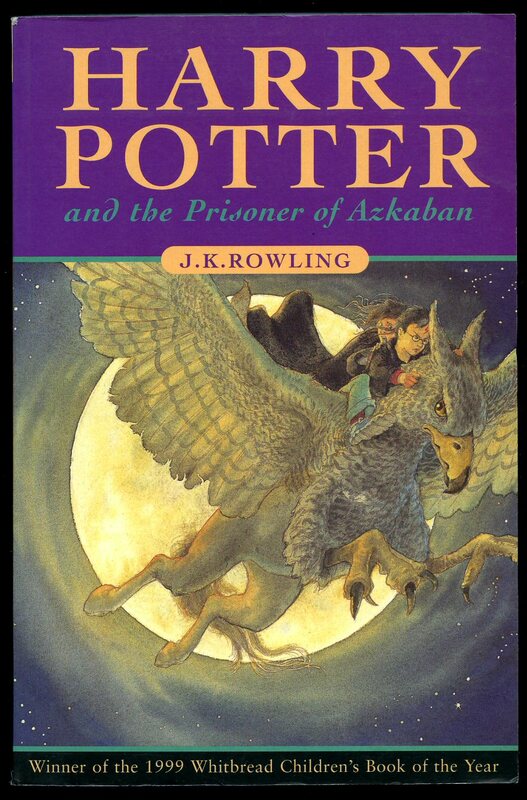 Published by Bloomsbury Publishing Limited, 38 Soho Square, London 2001. London 2001. 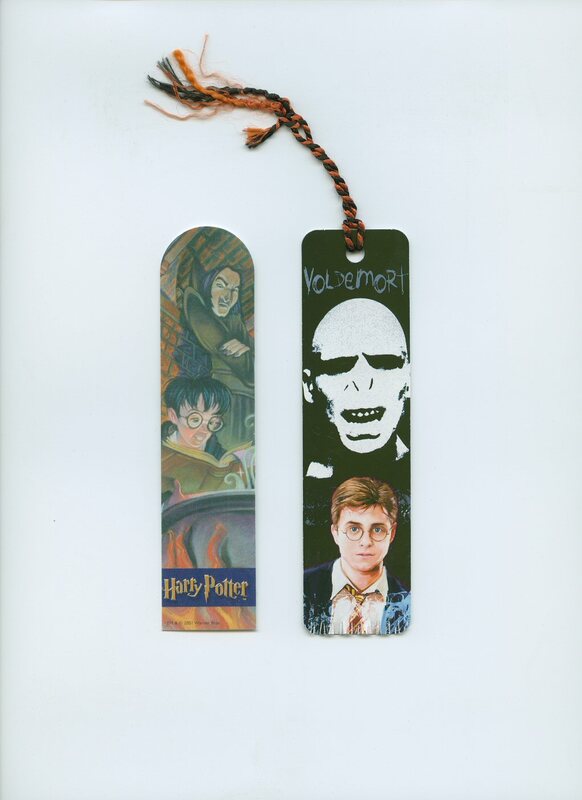 Publisher's original colour illustrated card wrap covers by Thomas Taylor. 8vo. 8'' x 5''. Contains 223 printed pages of text. True Bloomsbury edition and not a Ted Smart variant. 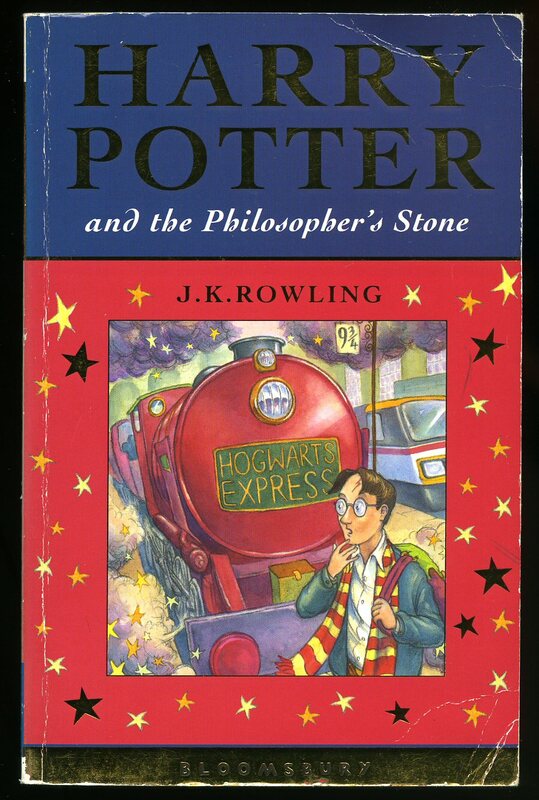 Copyright page states 'This edition first published in 2001' and with the number string of 10 9 8 7 6 5 4 3 2 1, only other title listed is Harry Potter and the Chamber of Secrets. Card edges lightly rubbed, contents clean. Member of the P.B.F.A. 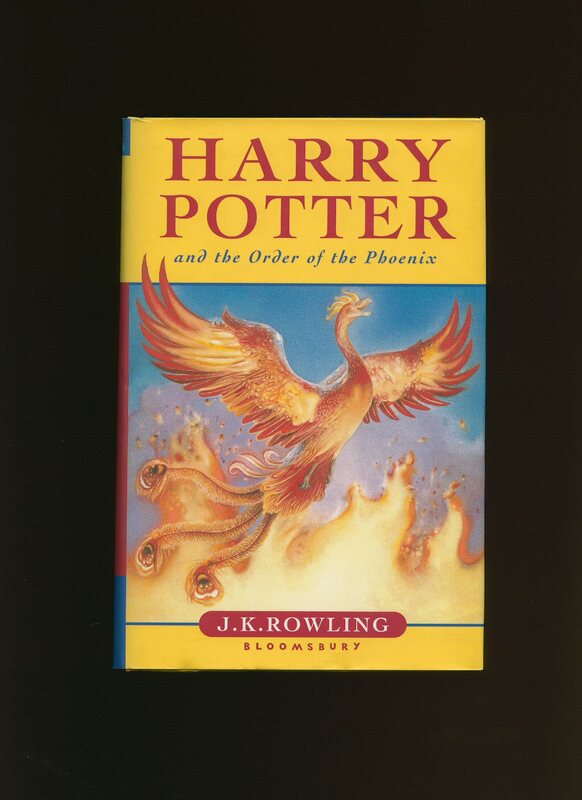 Published by Bloomsbury Publishing Ltd., 38 Soho Square, London First Edition 2005. London 2005.